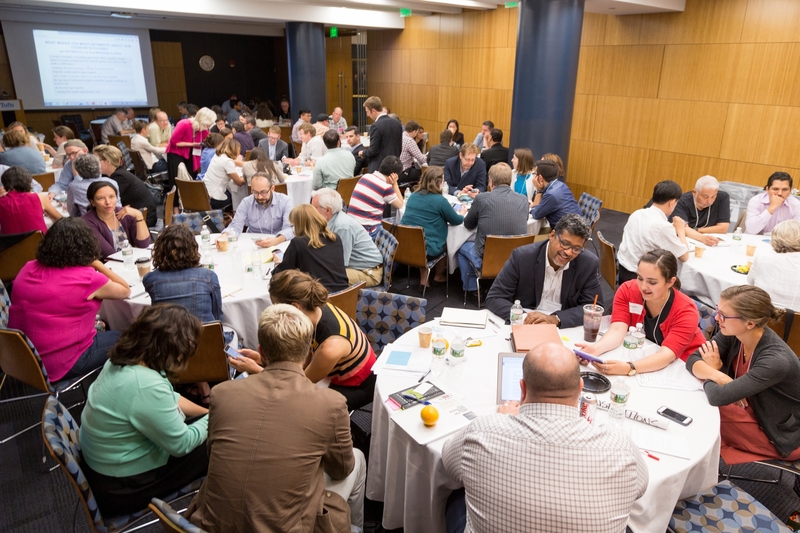 Tisch College's annual conference about democratic participation and civic life drew a wide range of scholars and practitioners. As part of the Tisch College Distinguished Speaker Series, political strategists David Axelrod and Beth Myers, J79, analyze the current election season. Anderson Cooper spoke at Tufts’ Edward R. Murrow Forum, co-sponsored by Tisch College, about his sense of responsibility to the people he covers. Hosted by the Tisch College Distinguished Speaker Series, Congressman and civil rights legend John Lewis, urged his Tufts audience to humanize our institutions and ourselves. 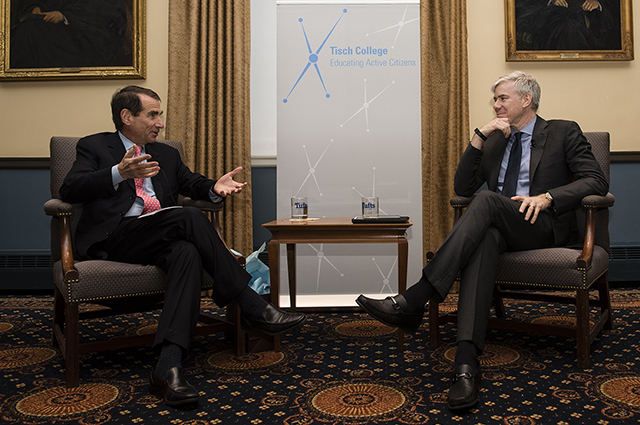 The veteran political reporter visited Tufts University as part of the Tisch College Distinguished Speaker Series. 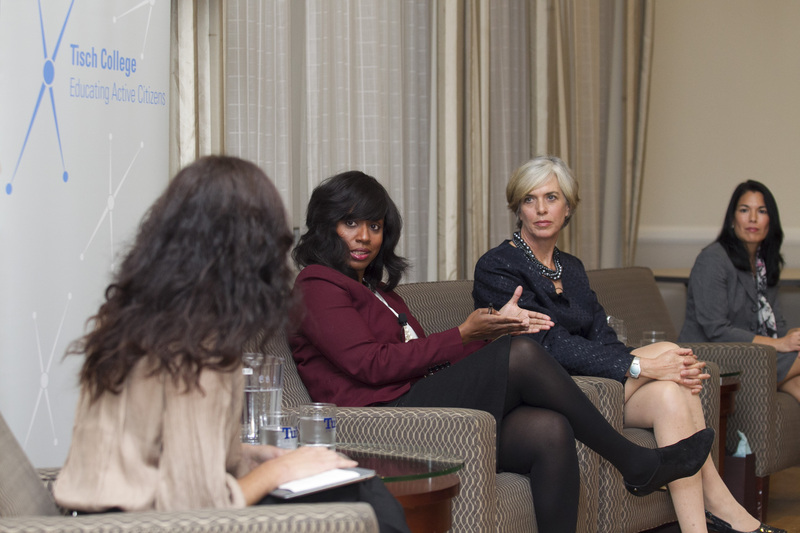 Three successful Massachusetts officeholders shared personal and professional insights from their journeys to political leadership. Lawrence Summers speaks at Tisch College about the costs of the Great Recession and the importance of academic freedom. 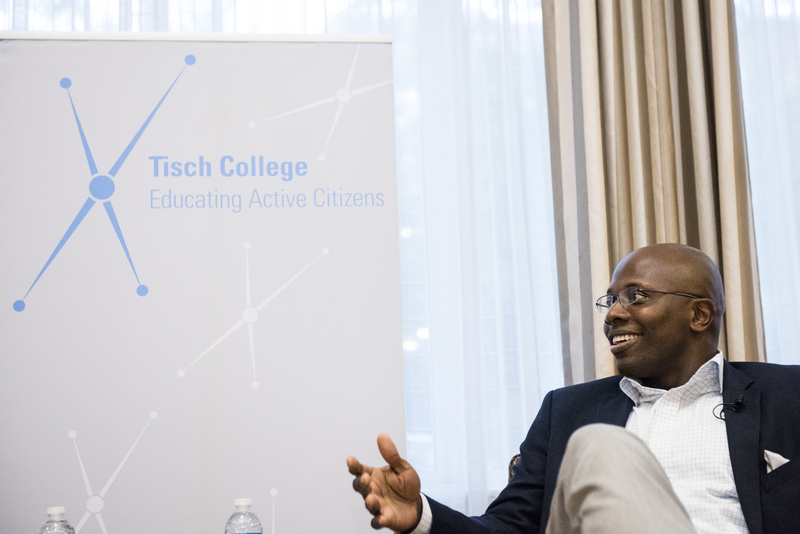 Reggie Love, a two-sport athlete at Duke and former 'body man' to President Obama, shared insights from his experiences on the athletic and political fields when he spoke as part of the Tisch College Distinguished Speaker Series. 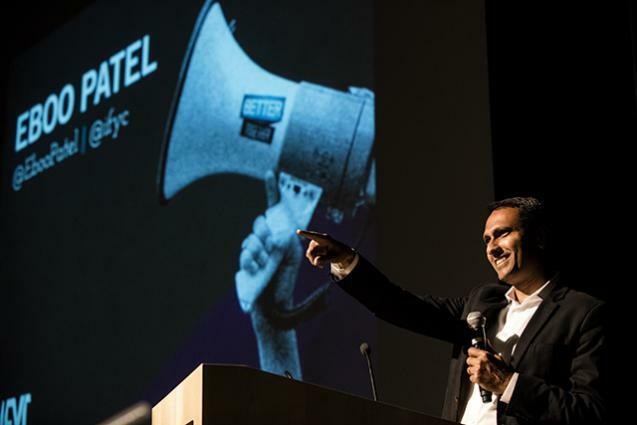 Eboo Patel, the author of this year’s Common Reading Book, offers a prescription for peace in a world of division. 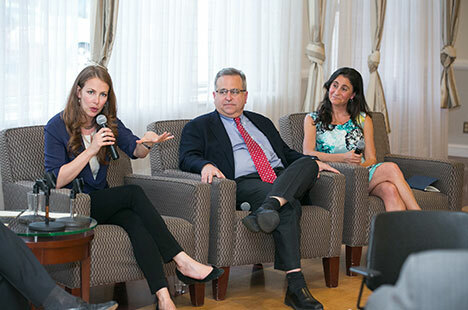 As part of the Tisch College Distinguished Speaker Series, three leading social innovators shared their stories and their best advice for those who want to change the world.